Conceived in California’s Bay Area eight years ago, the Maker Faire is becoming more popular every year. The event is presented by Make Magazine with additional sponsorship provided by Intel, Oracle, RadioShack and NASA. The success of the event has spawned into hundreds of “mini-Faires” throughout the world, but the two most popular are located in San Mateo and New York City each year. 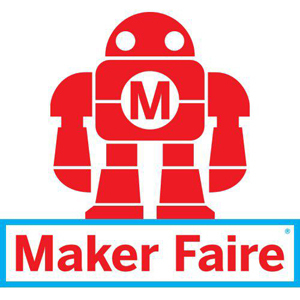 This year’s event attracted over 120,000 people – more than six times the attendance of the first Maker Faire held in 2006. Over 1,000 makers participated in the event this year. Some are simply tinkerers looking to showcase their latest invention while others are start-up companies seeking recognition for ground-breaking research in various technology niches. I want to highlight some of the cool new products and ideas that came out of this year’s event, but first it’s worth pointing out the significance of the large turnout this year. The parking lot was filled before the event opened for the weekend and attracted spectators from all walks of life. Certainly, attendance wasn’t limited to fellow tinkerers; it was a family event with something for everyone to enjoy. The increased interest in DIY technology is a positive sign to say the least. People are beginning to realize that sometimes the best solution to a particular problem is to solve it yourself. Fortunately, inexpensive programmable circuit boards such as Raspberry Pi and Arduino have made home innovation much easier and even people without previous tech experience are reaping the benefits of these advancements. Take Miguel Valenzuela for instance. The latest version of his new open source project, aptly named PancakeBot, was unveiled at Maker Faire this year. 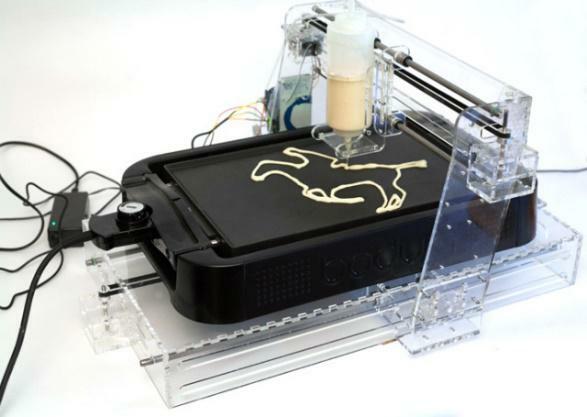 While not technically a 3D printer (it prints 2D images using pancake batter), PancakeBot creates edible pancakes in any shape you can imagine using an Arduino Mega Board and associated motors. Since we are on the subject of 3D printing, let’s quickly review two other products unveiled this year with more practical implications. Lucy Beard, founder of Feetz, uses a commercially available 3D printer to create orthotic shoes printed to match the exact feet of the customer. For customers with abnormally shaped feet, finding comfortable shoes can be a difficult – and expensive – undertaking. Feetz addresses this issue and proves once again that 3D printing is a versatile platform capable of evolving past worthless plastic trinkets. 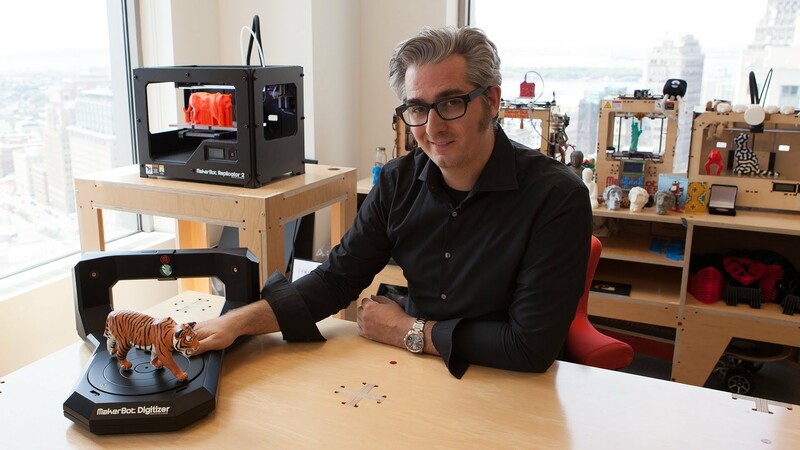 E-Nable is another startup leveraging 3D printing to help people. 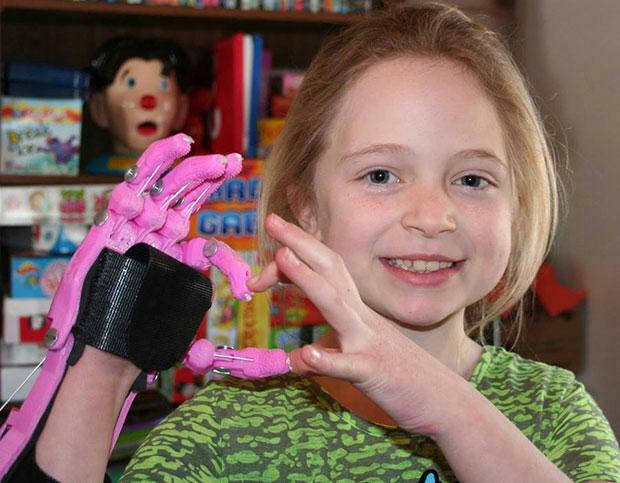 This company produces fully-functional prosthetic hands for children born with amniotic band syndrome – a birth defect where one or more fingers are stunted in the womb. This is certainly an honorable business model that could change the lives of thousands of children every year, but E-Nable is even more interesting because it relies on a decentralized production model whereby volunteers create the prosthetics and giving them to people in need. The prosthetic created by E-Nable only cost between $25 – $250 to produce compared to current prosthetics approved by the FDA which can cost upwards of $50,000. The good news is that most people using E-Nable devices prefer them to the more expensive alternatives. The event had no shortage of drones as expected. Everything from DIY search and rescue drones to miniature combat drones were on display and demonstrations occurred throughout the Faire. Tech aside for just a moment, a non-profit called Fab-Mo was also present this year. The company has been collecting up to 70 tons of fabric samples every year that are made available to artists, educators and anyone else interesting in reusing the fabric which would otherwise end up in a landfill. At this year’s event, Fab-Mo was handing out free samples and encouraging participants to use the fabric to create artwork on-site. Hundreds participated and successfully taught people to look at items typically considered trash as useful materials bound only by the creativity of an individual. I think this event represents more than a gathering of geeks, nerds and tinkerers. It is a direct response to the consume-and-dispose society we now live in; a place where it is easier to throw something away than to figure out a way to repurpose it or create a unique solution. While I have always appreciated those with the know-how and initiative to create unique solutions to common problems using modern technology, it’s no secret that these people have often found themselves on the border of societal acceptance. The turnout and excitement generated by this year’s Maker Faire, however, prove that people are beginning to realize the benefits of DIY and the importance of creating sustainable solutions for the future.